Now more than ever, we have become more conscious and aware of our environmental impact. The push to become more green in regards to energy efficiency has become a top priority for many of us. Retractable awnings are a great way to reduce energy costs in your home while adding significant value. Retractable awnings can help reduce home cooling costs significantly, by as much as 25 percent. By deflecting the sun’s rays, a retractable awning helps maintain cooler temperatures in your home and create an outdoor living space shielded from the intensity of the sun. This in turn helps lower your overall energy costs by using less air conditioning and spending less time indoors during those warm summer months. Another thing to consider when looking to buy a retractable awning for your home is the impact it can have on your indoor furniture, curtains, drapes, and carpeting. By blocking the sun’s harmful rays from infiltrating your home, a retractable awning can help reduce the amount of fading and damage over time to indoor furnishings. This adds value to your home and is a very smart investment to consider. 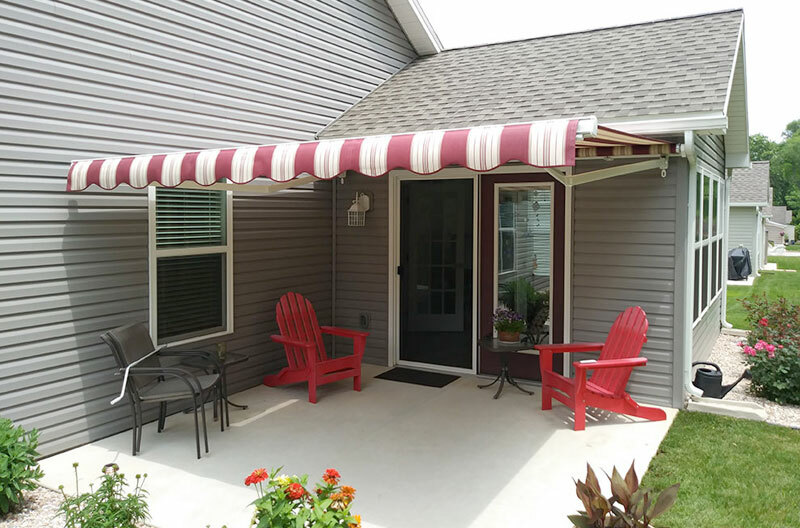 Retractable awnings can potentially save you thousands in home energy costs, but they also add a level of comfort and aesthetic to your home than can be enjoyed for years to come. Easily turn an outdoor patio or deck into a comfortable outdoor living area for your family and guests to enjoy. Installing a retractable awning is a cost-effective way to add value to your home without investing the time and money into expensive renovation projects. Contact American Awnings & Replacement Windows today to discuss the best retractable awning solution for your home or business. We service much of Franklin, Cumberland, Dauphin, York & Lancaster counties in Pennsylvania including Chambersburg, Shippensburg, Harrisburg, York, Lancaster, and much more. Call 800-532-9098 today for your free quote!